1. From an existing baseline of 20% renewable energy, a 40% renewable energy target would be reached by the 2009 UN Climate Summit COP15 held in Denmark. 2. 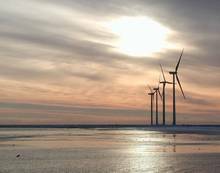 The renewable energy share would annually increase to reach 100% in Frederikshavn by 2015, with exchange of energy with the surrounding areas still allowed. 3. The 100% renewable energy system would be further developed to enable Denmark as a whole to transform to 100% renewable energy by 2030. 1. 12 MW wind turbines, which respresent the first step in an offshore wind project that will reach a total capacity of 25 MW. 2. 8000 square meters of thermal solar collectors that annually generate about 4 GWh, along with 1500 cubic meters of water heat storage and an absorption heat pump to cool the exhaustion gas and increase efficiency at the existing CHP plant of the small district heating supply of Strandby (a suburb of Frederikshavn). 3. 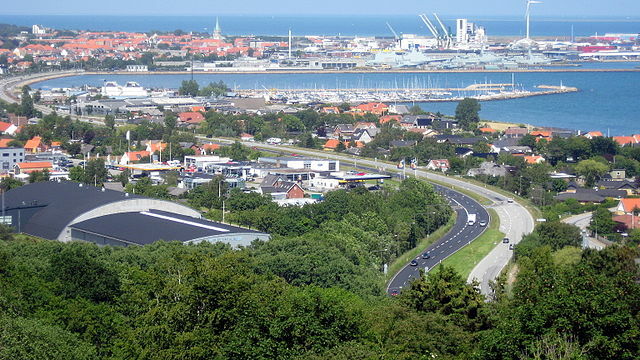 A facility that upgrades biogas from a local plant outside the town to natural gas quality and transports it into a biogas fueling station in Frederikshavn. This will be coupled with investment in 60 flex-fuel cars capable of running on biogas. The biogas plant will produce 7 GWh of biogas, and what is not needed for transportation will be used in the existing CHP (Combined Heat and Power) plants, which conventionally use natural gas. 4. 1 MWth heat pump at the town's waste water treatment plant that is expected to use 2 GWh a year to extract 4 GWh of heat from the waste water and produce 6 GWh of heat for the district heating supply. The total budget of this phase is estimated at approximately 200 million DKK (about 35.6 million USD). capacity of 185 GWh/year, equal to the available amount of local resources. Like all waste programs in Denmark, this project will follow the principles of prioritizing recycling and then incinerating the remaining relatively small amount waste to create heat and power via CHP technology. 2. The heating grid will be expanded. The plan estimates that 70% of the baseline industrial and individual boiler heating supply can be converted into district heating. The remaining industry heat demand will be supplied using biomass boilers, and the remaining homes not on the district heating grid will be retrofitted to use a combination of solar thermal and electric heat pumps. 3. 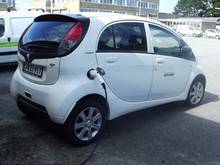 Transportation will begin to shift to electric, plug-in hybrid, and biogas. 165 GWh of gasoline and diesel used by cars, buses, vans, mopeds, and motorcycles are to be replaced by 10 GWh of biogas, 21 GWh of electricity and 61 GWh of methanol. of biogas. However, the production of methanol will provide 17 GWh of heat, which can be used for district heating. Ultimately, hydrogen may replace methanol, in which case wind power will replace part of the biogas used. 5. Geothermal energy combined with heat pumps can add to the district heating supply. 6. A 15 MW biogas CHP plant with 40% efficiency for electricity and 55% efficiency for heat. The rest of the heat production will be supplied from a biomass boiler burning straw with an efficiency of 80%. 7. 40 MW of wind will cover the remaining electricity supply, with half installed by the end of 2009. 1. Bringing the level of biomass, including that from waste, in line with Frederikshavn's supply of natural resources.